Justin Rose won the 2013 US Open and it always makes me laugh how after a player wins a major, especially if it’s there first, you get the strangest reasons as to why. And I just read about this strange one for Justin. Apparently a sports psychologist got Justin to watch this video on Youtube…. I watched the video and even though it’s super weird to relate this to golf there was something that we can actually use to improve our golf game. Look, when you’re on the golf course trying to put a good score together will more times than not hurt your score. 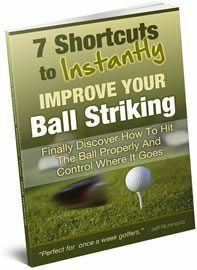 Swing shorter and have less control. The irony with golf is that you actually have to give up control to gain control. 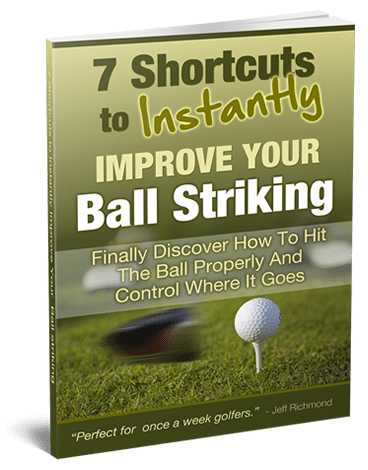 You shouldn’t try hard in terms of trying to force the golf ball to go where you want it to go. But rather you should go through a good mental and physical process each and every shot and be happy that you’ve done the best you can on each shot. You need to to do practice and prepare as best you can before each game and then just go through your processes each shot and enjoy playing the game – the score will take care of itself. You don’t need to try and make a score because if you don’t try or you do try…you’ll get a score. Of course we all want a “good” score. But a good score is simply a result of good individual shots. And good individual shots are simply a matter of preparing for the shots you face (i.e. practice) and going through your processes for the shot. So in essence you are trying to do what you know you need to so you can hit a good shot but you’re not trying to hit a good shot. We can all learn from that. We all won’t win a US Open like Justin Rose but we certainly can all improve our golf scores.